Always being interested in unfamiliar mysterious words, I started finding out what the word “Maldoror” means, and stumbled across the novel “The Songs Of Maldoror” by Comte de Lautréamont, where the author imprinted some reflections of a demonic creature, which has misantropic character, who hates the human race. Definitely, this novel inspirated Deamorphin to write “Dreams Of Maldoror” – a dark ambient work, released on Death Records label. The sounding of the album is sullen, frightening and dense, maybe even suffocating. The author succeeded in revealing the possible dreams of a demon, full of hatred, wish of destruction and filth. Listening to this album resembles an experience of some kind of a negative enlightenment, when you meet face to face the dark side of reality, the dark aspect of everything, feeling discomfort and fear. 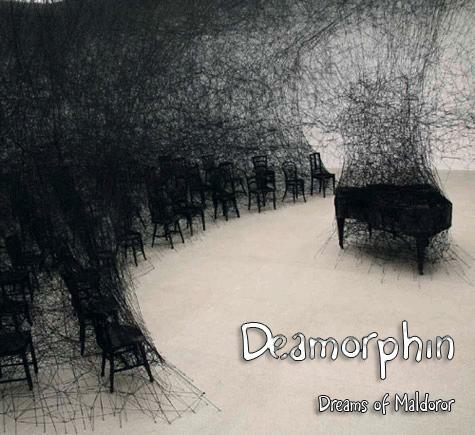 So, make a step into the dreams of Maldoror with Deamorphin.